Those are cute snow boots, that your child could wear entire winter. 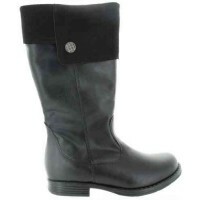 They offer good support, arches, ankle support for walking. Proper snow boots for a child with ortho support. Europe does not make cheap, flat boots or shoes. There is a reason for that, kids feet are formed by shoes they wear so they have to be quality only. Those are orthopedic since they have all the features of it. 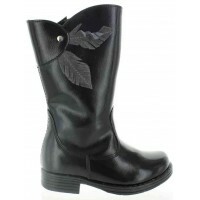 Made out of black natural leather and lined with fleece. 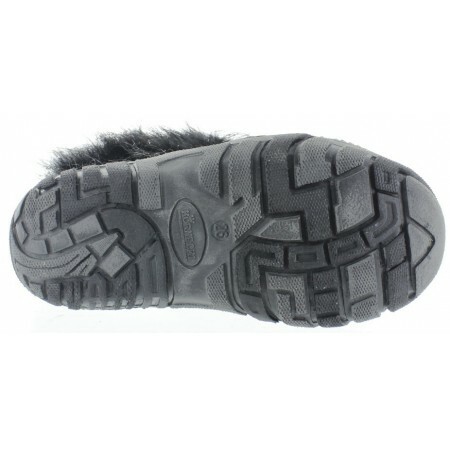 Decorated with amazing in look gray fuzzy fur and velcros. Side zipper for an easy fit. Totally waterproof and ok to wear in deep snow. Try them they are great and look superior on kids feet. Just bought them in Hinsdale store and they are fabulous! Nice fur inside and out and they fashionable. They look so great on my daughter. Easy on and off design and they are warm inside. Can't compare them to now "chinese UGS" (sold those days in Nordstroom and other stores). UGS are not orthopedic, no support and they are not waterproof - those boots are for lot of less money and they made in Europe = quality. I love this store and my child has only shoes from them and her feet are perfect unlike I see on kids in her school all flat footed and pigeon toed. Amazing that people can be that stupid and cheap at the same time. I buy 2 pairs per season and my child wears only quality shoes since you do not need more anyway. However folks in USA buy 8 pairs of cheap shoes and have destroyed feet. 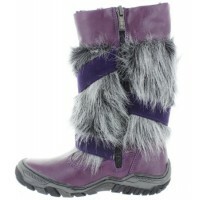 Purple snow boots made in EuropeCute as a button decorated with fur. On and off with zipper. Lined with waterproof fleece. Proper orthopedic support present since no boot in Europe is made not orthopedic. Footwear made for kids in Europe is always orthope..
UGG like warm snow boots for kidsFun style snow boots, like UGG but different quality all together. Arches, ankles support and heel support but still fun boot for a child. Made out of beige natural leather and lined with warm fleece. Decorated with am.. Fashion black leather waterproof snow boots for girlsWarm for snow with zipper on the side for kids Black patent leather and has decorative flower. Zip close. 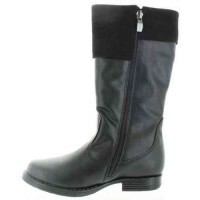 Light quality snow boots for kids best for winter Ortho arch in the soles of the boot like..